Are you thinking about selling your San Antonio home? Most likely, you are going to have some competition. It may require a little work, but in the long run, a little work can get your house sold fast! 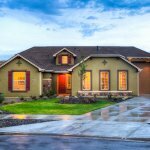 House Buyer San Antonio has put together some great tips on how to set your home apart when you are ready to sell in San Antonio. Subconsciously, potential buyers will use all five senses in their decision on whether or not to make an offer on your home. Obviously, you will want the visual appearance to be impressive, but you will also want to think about what these potential buyers will hear, smell, taste and touch. What they hear… play background music during open houses. If you live in a younger, trendy neighborhood, play something more current. If it is an older neighborhood, classical, big band and the standards can be a great choice. What they smell… you don’t want to overpower your home in fragrances. Some people can be sensitive to smells, and you don’t want to drive anyone away before they get to see your home. With that in mind, consider fragrances that are universally appealing. Everyone loves freshly baked bread or chocolate chip cookies. Or if you choose to use a candle or incense, keep in light and with a mild fragrance. Vanilla or Citrus are popular choices that won’t be too harsh on your guest’s noses. What they taste… as mentioned above, the smell of cookies or fresh bread is universally enticing. Maybe you coincidentally have some cookies baking along with some other light but delicious hors d’oeuvres. People may not remember the color of your crown molding, but they will remember the best brownie they ever ate. What they touch… your potential buyers may not physically touch many items in the home, but the things they do touch should feel great. Think of the door knobs, handles on cabinets, glasses, and faucet handles. These things should have a “good feel to them.” In addition, use a fluffy, luxurious throw blanket on the sofa. Add oversized feathered pillows to the bed, making it look beyond comfortable. Think of the touches you would find in a high-end hotel, and incorporate these things into your home. So many open houses are all the same. And the odds are, your potential buyers have been to a few of these already. Consider making it more of a BBQ by hosting it in the afternoon or cocktail party by hosting it in the evening. This will not only be memorable to your guests, but it will allow them to get a sense of what living in the home will really feel like. Entertaining friends, serving great food and creating so much fun within the home, that people don’t want to leave is a great way to sell your San Antonio home fast! The exterior of your house will determine whether or not people even walk into your home. You’ve likely heard the phrase, “don’t judge a book by its cover,” but when it comes to home buying, this is often the case. This is your first impression and the first opportunity to make buyers fall in love with your home. Mow the lawn, weed the garden and keep it regularly maintained. Paint if necessary. By doing the work yourself, you will save a ton of money and completely revitalize a worn out facade. Repair cracked sidewalks and porches and tend to any boards that may have popped up. Make sure the furniture is clean, rust free and flows with the exterior of the home. Fix your fixtures. Mailbox, door knobs, address numbers should all look clean and bold. Yes, you want to make your home feel like a home…inviting and cozy. But if people come face to face with your Grand Canyon vacation pictures on the fridge, or see a stack of your paperwork on the desk, they are going to feel as if they are intruding. Pick up the clutter and personal items and hide it all away while buyers are in your home.